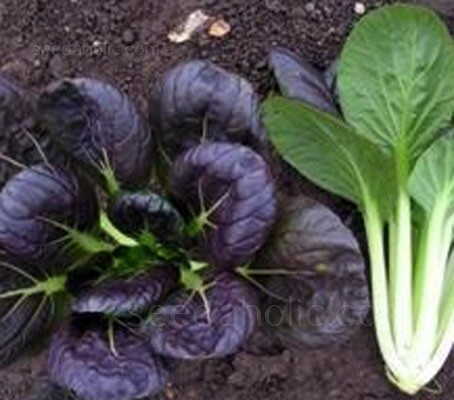 Tatsoi, or Rosette Pak Choi is among the most popular of oriental greens. It is a non-hearting oriental mustard with spoon shaped, purple green leaves which are not only full of flavour, but very tender. “F1 Red” is a seriously handsome plant. The beautiful, evenly spaced leaves form a plant worthy to be grown for its decorative value. Mature plants have a semi upright habit and exhibit a rosette of rounded, savoyed, purple green leaves on slender, light green stalks. Sowing: Sow from Spring through to Autumn. Tatsoi grows more slowly than other oriental brassicas. It is a good idea to give the plants a good drink of water and/or liquid fertiliser after each picking.